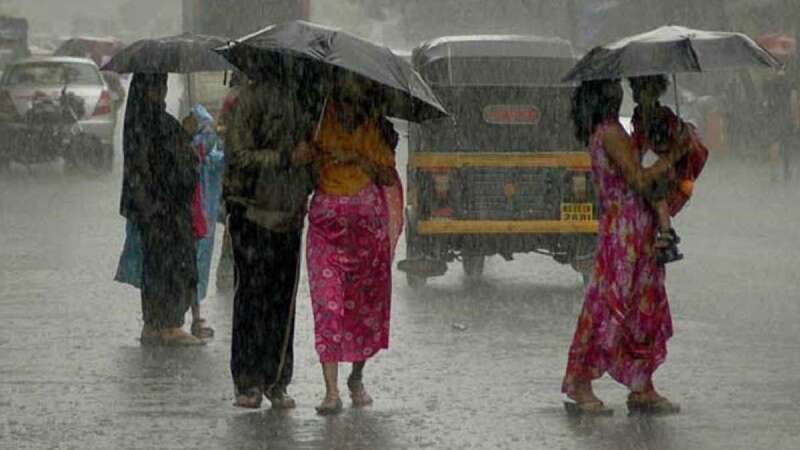 Mumbai : Heavy rains poured Mumbai on Monday as cyclone Ockhi passes by the coast of Maharashtra before making a landfall at Surat in Gujarat. Schools and colleges in Mumbai and neighbouring areas have been closed as a precautionary measure. Prime Minister Narendra Modi, on the other hand, said that he is keeping a close eye on the developments related to cyclone Ockhi. "Spoke to all relevant authorities and officials. All possible assistance is being provided to those affected," he tweeted. Rescue and relief teams have been stationed at Surat, about 280 kms from Mumbai, to combat cyclone Ockhi. BJP election rallies to be addressed by BJP chief Amit Shah and others near the Saurashtra coast have also been cancelled. Cyclone Ockhi will make landfall near Surat and the Gulf of Khambat in Gujarat as a deep depression early on Wednesday, the Met Office has said. Its status has been recently changed from 'very severe' to 'severe'.